The quilt is made from simple squares and triangles taking Karin’s own unique ‘Exploding Pineapple’ technique further. There is no fabric wastage, no matching points and no special rulers. This is a fun and ‘pointless’ class which will help you to make spectacular quilts! 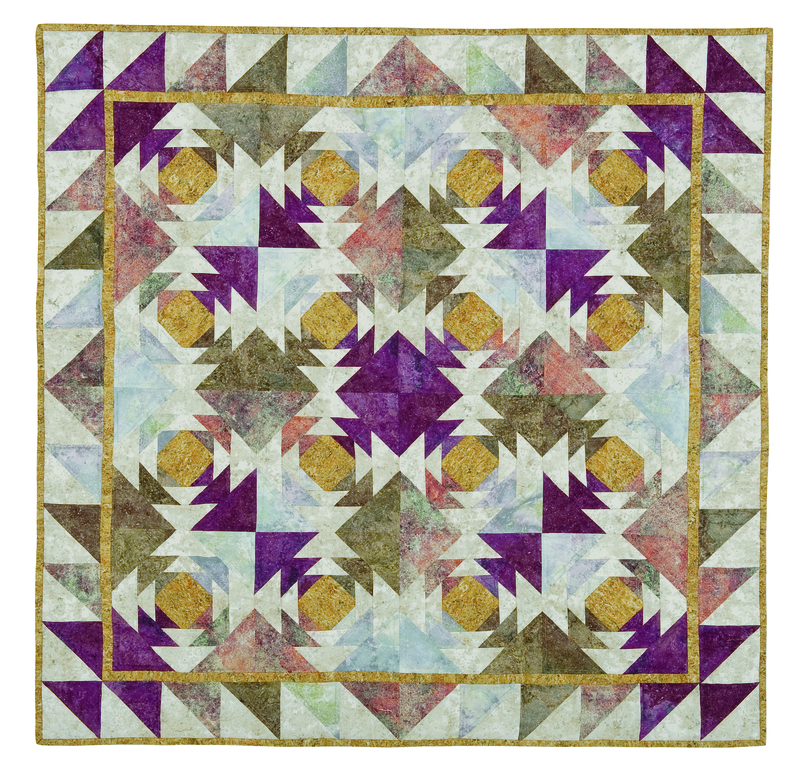 Please look at the quilt picture carefully when choosing fabrics as the star effect comes from choosing a light fabric within the block. Fabric requirements are:- 2 yards light background; 1/2 yard centre block and first border fabric; 3/4 yard each of three medium and one light fabric (similar value to background fabric).